Drug information in the medication information documents on this website are continually subject to review and revision and are based upon prevailing evidence in the published literature or upon consensus-derived guidelines for current best practice management. Reasonable effort has been made to ensure the accuracy of drug information contained therein; however you should confirm and follow the proper guidelines for medication use set out by the drug manufacturer with your physician or nurse practitioner. Some medication uses listed have not undergone formal approval by Health Canada, and such use is considered to be on an off-label basis. We do not accept responsibility for reliance solely on drug information that may be set out on the website. Reliance on any information on this website is solely at your risk. Any information created by us is believed to be reliable when posted. However, we do not guarantee or warrant the quality, accuracy, completeness, timeliness, appropriateness or suitability of the information provided. Reliance on any information appearing on the website is at your own risk. We expressly disclaim all warranties, representations and conditions (express or implied) regarding use of the website or the information on this website. We assume no obligation to update the information or advice on further developments concerning topics mentioned. The information is supplied “as is”, “as available” and may contain errors. The information may be changed from time to time without notice. Certain portions of the information may have been contributed by other persons and should not be assumed to have been reviewed or endorsed by us. The mention of specific products or services on this website does not constitute or imply a recommendation or endorsement by us, unless explicitly stated. Content providers for Mind The Bar Foundation, including without limitation the health care professionals who contribute to the information on this website, shall have no liability whether direct, indirect, consequential, contingent, special or incidental related to or arising out of or in connection with the use of this website or your reliance on the information, whether in an action of contract, negligence or other tortious action. Anyone using this information does so at his or her own risk, and by using such information agrees to indemnify the Mind The Bar Foundation and content providers from any and all liability, loss, injury, damages, costs and expenses (including legal fees and expenses) arising from such person’s use of this website, information on this website, and any information on websites linked from this website. You accept that this website and the information available on it may be unavailable from time to time due to routine maintenance, upgrades, hardware or software malfunctions, repairs, outages or other unforeseen circumstances beyond the reasonable control of Mind The Bar Foundation. You are prohibited from posting malicious or unauthorized code (e.g., viruses, bots, worms, spyware, Trojan horses, etc.) or other potentially harmful material to this website that may interrupt damage or limit the functionality of this website or the use of this website by others. You are prohibited from using this website for spamming, phishing or other similar schemes. Any names, words, titles, phrases, logos, designs, graphics or icons appearing on this website may be registered or unregistered trade-marks, official marks, service marks or trade-names and may be the property of Mind The Bar Foundation or third parties. Though third party marks may be used by Mind The Bar Foundation subject to a license agreement, the display of a third-party’s trade-marks does not indicate or imply any relationship between Mind The Bar Foundation and that third party, or indicate that Mind The Bar Foundation approves of any of the products or services used in association with that trade-mark. Nothing contained herein implies that a license has been granted to you in respect of any official marks, trade-marks, service marks or trade names displayed on this website. Permission must be obtained from Mind The Bar Foundation if the material is to be reproduced in whole or in part. This email and any files transmitted with it are confidential and intended solely for the use of the individual or entity to whom they are addressed. If you have received this email in error, please notify the sender immediately and delete this email from your system. If you are not the intended recipient, you are notified that disclosing, copying, distributing or taking any action in reliance on the contents of this information is strictly prohibited. Any views or opinions presented in this email are solely those of the author and do not necessarily represent those of Mind The Bar Foundation. 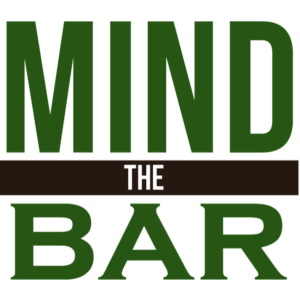 Mind The Bar Foundation accepts no liability for the content of this email, or for the consequences of any actions taken on the basis of the information provided, unless that information is subsequently confirmed in writing. Email transmission cannot be guaranteed to be secure or error-free, as information could be intercepted, corrupted, or contain viruses. The organization (Mind The Bar Foundation) accepts no liability for any damage caused by any virus transmitted by this email and the sender, therefore, does not accept liability for any errors or omissions in the contents of this message which arise as a result of email transmission. The recipient should check this email and any attachments for the presence of viruses. No employee or agent is authorized to conclude any binding agreement on behalf of Mind The Bar Foundation with another party by email without express written confirmation by the President, together with one other director, of the Foundation.